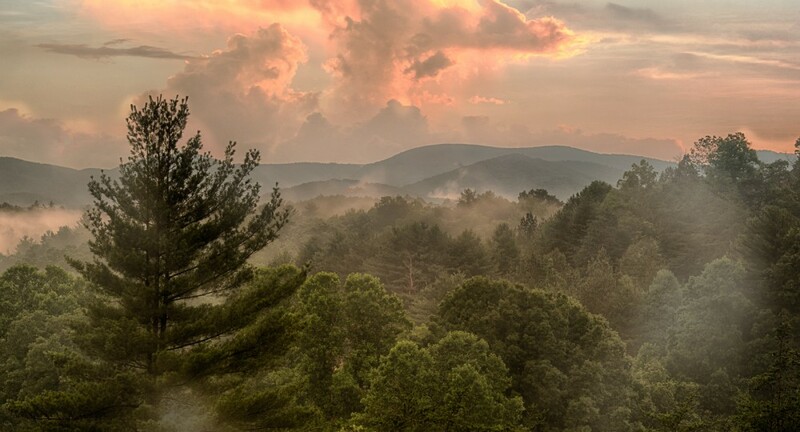 From the slope of Long Mountain in the Chattahoochee National Forest - VIEWS from every room! Guests enjoy our upscale Adirondack sytle decor. 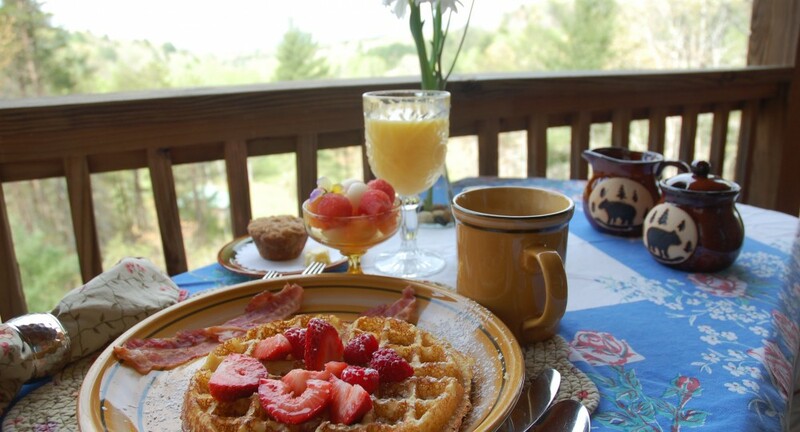 At the B&B, sumptuous breakfasts are the topic of many of our rave reviews. 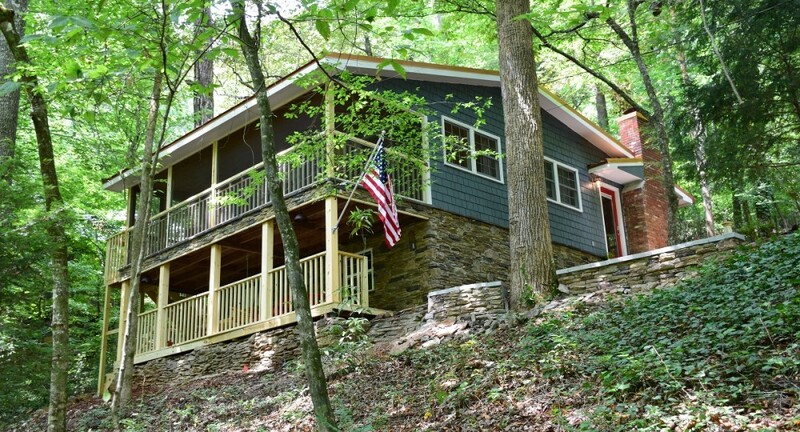 Waterfall Cottage is 50' from Cane Creek and within sight & sound of Cane Creek Falls. Waterfalls galore nearby. This is Cane Creek Falls. Our Waterfall Cottage is the second cottage downstream. 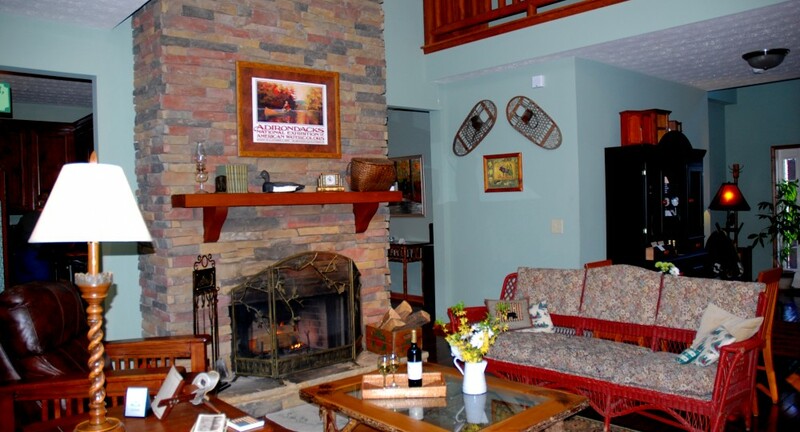 The best place to stay in Dahlonega’s beautiful wine country. Get away to the best place to stay in Dahlonega in beautiful wine country in the North Georgia Mountains. The upscale, rustic Main Lodge B&B Inn, and Owner’s Lodge with the Tree Top Suite sit on 14 acres with two spring-fed trout ponds. We invite you to try catch and release fishing or you can enjoy the property trails, small waterfalls and gardens. 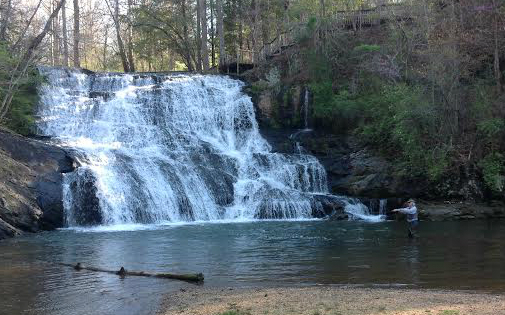 Our Waterfall Cottage is located 5 minutes from the B&B and from town at Cane Creek Falls. BED & BREAKFAST: SUNSET MOUNTAIN VIEWS IN NORTH GEORGIA WINE COUNTRY – On the slope of Long Mountain in the Chattahoochee National Forest, the lodge offers peace, serenity and classic amenities. 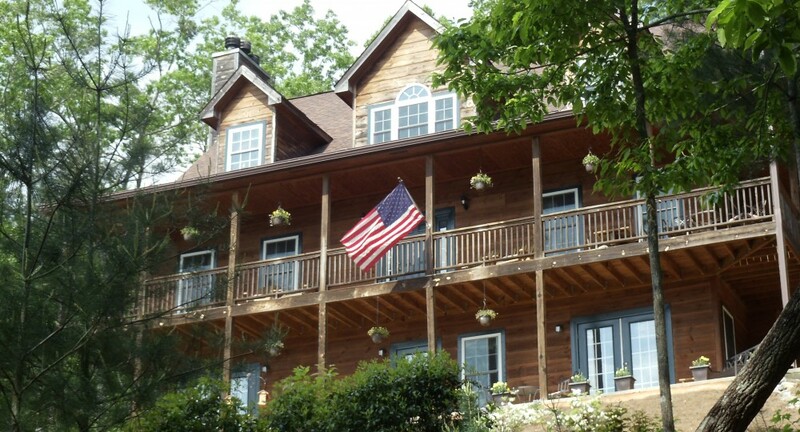 Long Mountain Lodge B&B Inn is ten minutes from the historic city of Dahlonega and close to wineries, waterfall hikes, the Appalachian Trail, cycling, unique shopping and owner-run restaurants. Dahlonega is one of the top destinations in Georgia. Most rooms feature wood-burning fireplaces, jetted garden tubs and private entrances. At the B&B Inn, sumptuous, plated full breakfasts are served and are a topic of many of our great reviews. We also have an ADA Compliant / handicap accessible suite – The Long Mountain Suite – on the main floor. Weekends from mid-September to December 31st and some festivals & holidays requires a two-night minimum stay. VACATION RENTALS – We offer two very unique vacation getaways that offer privacy and a very special experience in our beautiful area. The TREE TOP ROOM is a 1BR/1BA wing of the owner’s home, but is very private with lots of deck and screened or sun room porch space perched in the trees. This unit includes maid service and breakfast at the lodge. Seasonal views and a nice view of our ponds. Weekends from mid-September to December 31st and some festivals & holidays require a two-night minimum stay. Many “Add-on” packages: wine tours, pub crawls, romance, fly fishing, guided hikes & more. See our special web site for great hikes to waterfalls and trails in our area at www.hikedahlonega.com . Mama’s Taxi, Uber and Lyft are all available to our guests.